Welcome to the PDC pole dance shop. We've been selling online, from this website since 2009 and we try our very best to provide you with the best service possible. Providing the item is in stock, we dispatch your product on the same day that we recieve your payment and we aim to answer all emails within 24 hours. We want you to buy with confidence so we operate a fair and honest returns policy, backed up by our promise to treat you, our customer with respect. If you have any questions before you buy, while the goods are in transit, or after you recieve your purchase, we are happy to help. All goods are fully insured from when you place your order until they reach your door. An economical 1st year* membership, without the postage, grading record book or DVD ROM - but still with the free online grading and all the usual AAP discounts and bonuses. 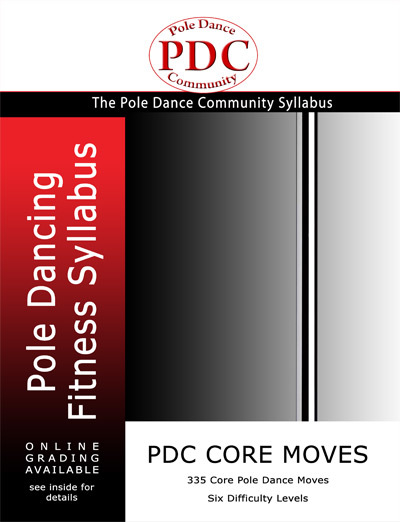 Plus various member discounts including money off online PDC Approved Pole Instructor Training. You can use the AAP to chart your pole dancing progress, record competition success and master-class attendance too. Show your friends and family that pole dancing is something to be celebrated! Access the Core Moves Syllabus on the go. The app saves the entire syllabus to your device so that once installed it can be viewed anywhere, any time without needing a network signal or using your download allowance.